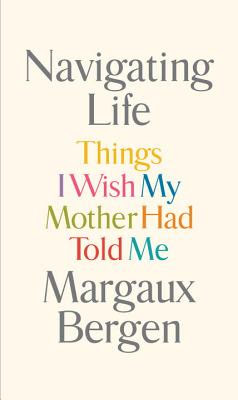 Margaux Bergen offers her daughter--and her readers--a collection of heartfelt life advice based on her own experiences. Aptly subtitled, Navigating Life: Things I Wish My Mother Had Told Me is a collection of life advice written by a mother to her eldest daughter, who is just leaving home for university. "The natural order of things is for you to teach yourself now how to be a complete human being and lead a life of meaning," Margaux Bergen explains to her daughter. "And for me to keep reflecting back to you some of my experience, without preventing you from accumulating your own." That's exactly what Navigating Life sets out to do, as Bergen offers advice concerning work, family, learning, friendship, money and passion. Obvious but ever-important lessons (you can't change anyone but yourself; your morals are your own to keep; be kind to others) sit beside more specific suggestions (when to leave a terrible job; how to build a friendship; the importance of reading the newspaper). These sage ideas are then embedded in the context of her own experiences. The candor with which Bergen explains to her daughter the struggles she has had with depression, the loss of an alcoholic father and the difficulties of being a single parent are ultimately what make Navigating Life as relevant for the author's daughter as it is for a wider audience. By cataloguing her own hardships and recognizing the places where she was unable to follow her own advice, Bergen offers readers not a strict how-to but an invitation. Come with me, she seems to say, and together we can figure out how to do this thing called life. I also wrote about this book and how it resonated with When Women Were Birds after reading the two back to back earlier this summer in Call and Response: When Women Were Birds, Navigating Life, and Finding a Voice.